The emerging field of nanobiotechnology merges nanotechnology and biology and has the potential to provide solutions to problems in many fields, including agriculture. Many governments across the world are now supporting research in nanobiotechnology, but India is lagging in investments and advancement in this field. 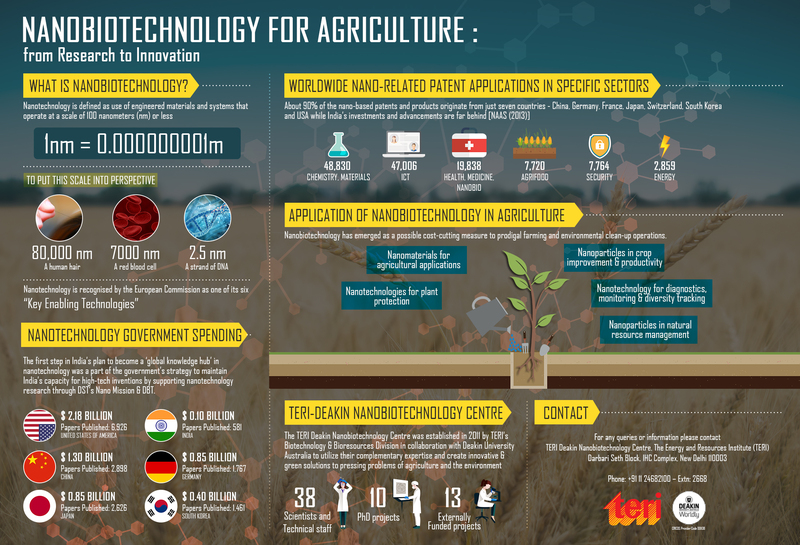 The TERI-Deakin Nanobiotechnology Centre, established in 2011, has been conducting research in developing nanonutrients, nanopesticides and nanoformulations. Its activities are being pursued jointly through strategic collaborations with Deakin University and partners globally.